With a focus on performance without compromising luxury and handling, Jaguar diesel vehicles offer Beckley drivers the perfect package. 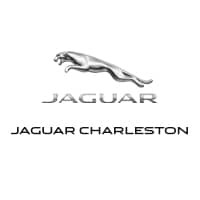 Whether you’re looking for high-performance vehicles like the Jaguar XE, or great family SUV like the F-PACE, you’ll find what you need at Jaguar Charleston. Jaguar vehicles are known for their exceptional quality and pristine luxury, and the diesel selection of vehicles are no different. Browse our inventory of diesel offerings below, and stop by our dealership near Huntington once you’ve found the perfect vehicle. Diesel options can offer drivers better fuel efficiency and great performance compared to their counterparts. Our experienced team is here to help you through the process, whether you need help picking out the right model or financing. If you have any questions before stopping by, please feel free to contact us today!